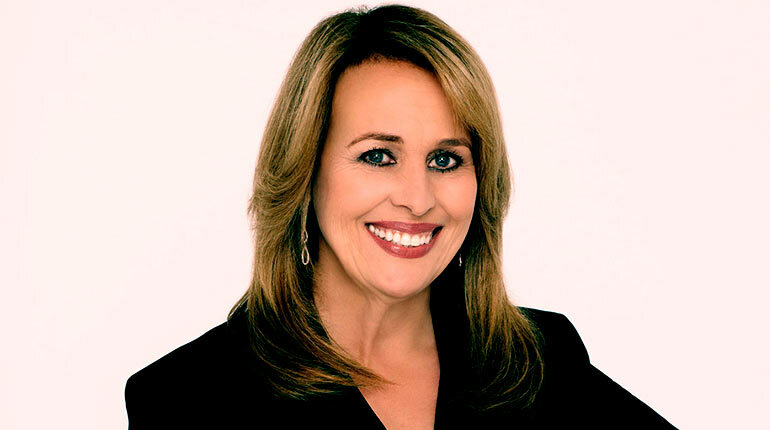 Best known for her role as Laura Spencer on the ABC Daytime TV medical drama, General Hospital, American actress Genie Francis joins a handful of other actors and actresses who were born in the entertainment industry with both parents being actively involved in the entertainment business. Genie joined the cast of the daytime soap General Hospital in 1979 as a teenager and with Anthony Geary, they became the best and hottest couples in the series. After her brief break from the series, the actress in 2018, returned to begin the next chapter of the “prolific and historic character”. Francis, like her parents, has gone a long way in making a massive impact in the industry, with her roles in the production of several important films and as a reward, she has received different awards and recognition. Read on to discover more about the actress from New Jersey. Genie is the daughter of Ivor Francis and Rosemary Daley, two important personalities in the entertainment industry. The actress was born in Englewood, New Jersey, on May 26, 1962, and she has Lithuanian roots. Genie started acting at the age of 14 in the “Jury Duty” episode of the TV series, Family. Despite being discouraged by her parents who did not want her to follow in their steps, Genie insisted on taking acting a career. Fortunately, she got cast in one of her biggest TV roles in 1977 on the TV soap, General Hospital. She was given the role of Laura Spencer so that over time, the names Laura Spencer and Genie Francis were almost synonymous in the hearts of the daytime TV fans. The series did not only speak of her spectacular role, but it also generated a good fanbase for her as many became more interested in her life outside her parent’s fame. Genie Francis left the series in 1982 and as expected, her departure affected the success of the film. After General Hospital in 1982, she tried her hands on several other TV films and Series. She starred as Patricia ‘Tyger’ Hayes in the Primetime soap opera, Bare Essence, though its production was not successful. Francis gained more TV roles, appearing as Victoria in the Episode: “Birds of a Feather” of the crime drama series, Murder, She Wrote. Other TV roles she took include Hotel (as Jenny Bernard), North and South (as Brett Main Hazard); and the TV drama series, Glitter where she appeared as a host. Genie Francis made a second coming into General Hospital, in 2006, taking up a limited role in the series and reprising the role for just one month. It was in fact, her role in the series that got her a Daytime Emmy Nomination for Outstanding Supporting Actress in a Drama Series, which she won in June 2007. Genie was nominated for a second Day Time Award in 2012, for her outstanding role as Genevieve in the TV soap opera, The Young and the Restless but she lost it to American actress Julie Berman. Genie Francis has been in the entertainment industry for over four decades. Although she’s been off and on at some point in her career, the actress has made a meaningful impact in the industry with about a hundred films and TV series in her record. The actress is believed to have garnered as much as $5 Million as net worth with an estimated annual salary of $800,000, according to some online sources. The American citizen grew up with her parents who were actively involved in the entertainment industry as actors. Her father, Ivor Francis was a Canadian-American actor and acting teacher who debuted in 1964 in The Devil Walks. He was active from the 1950s until his death on October 22, 1986. Before his death, Genie’s father also served in the Royal Air Force in the Second World War. Genie’s mother’s name is Rosemary Daley, a former model, and actress. Genie also has siblings including her older brother Ivor Jr.; an older half-sister from her father’s previous marriage, Shelley; and a younger brother, Kenneth. 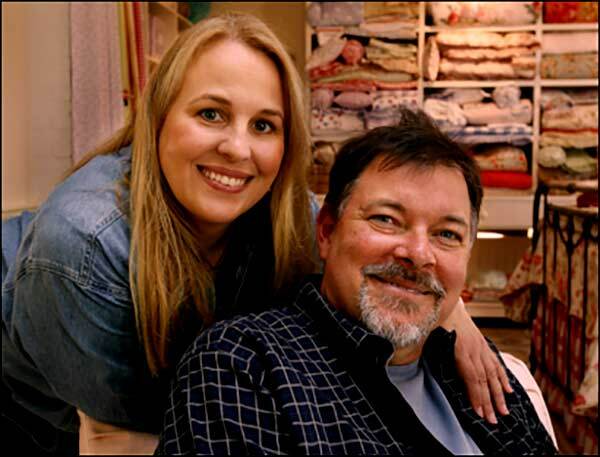 Genie Francis is married to Jonathan Frakes, an actor, and director whom she met while filming the television miniseries, Bare Essence. The two met again while filming North and South, and by 1985, they were already dating. Francis said yes to Frakes’ marriage proposal in 1986 and on May 28, 1988, they tied the knot that officially announced them as husband and wife. The American actor Frakes was born in Bellefonte, Pennsylvania, as the son of Dr. James R. Frakes and Doris J. He is of German and English descent and had his college education at Pennsylvania State University where he studied Fine Arts. He is best known for his role as Commander William T. Riker in the TV series Star Trek: The Next Generation. Genie Francis and her husband are blessed with two children. The couple welcomed their first son Jameson Ivor Frakes in 1994 and after about three years, they welcomed a daughter named Elizabeth Francis Frakes, in 1997. Together they live in their home in Calabasas, California.